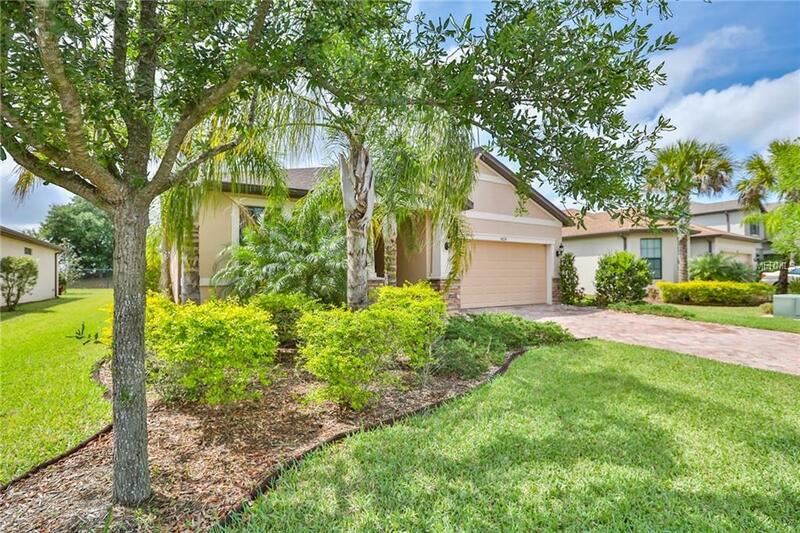 Avail yourself the luxury of a plush tropical paradise when entering your home. This home is boasting with upgrades and extras as the Seller did not hold back with custom designing. 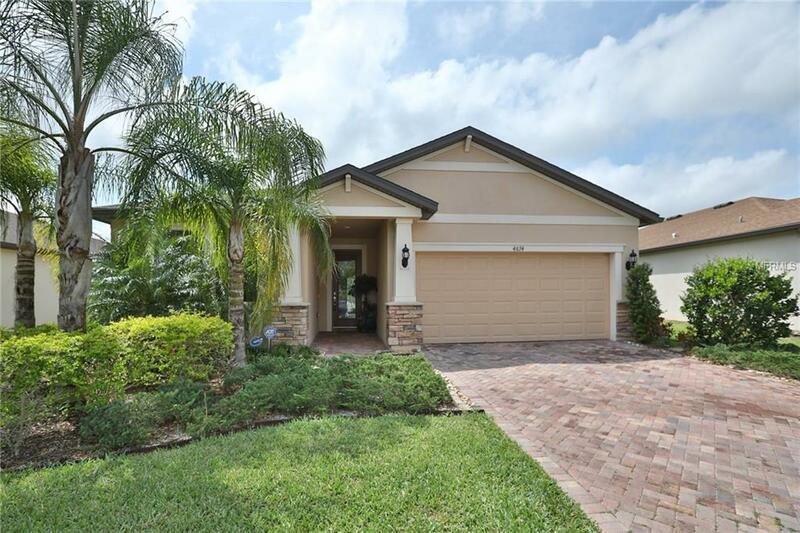 As you pull on the paved driveway into your huge two car garage you will enter a beautifully upgraded tiled modern open floor plan with Sherwin Williams Cashmere painted 9' ceilings bathed with natural light. This home is positioned on a quiet street with alluring curb appeal inviting you to walk through the front door flowing through the great room, dining area and kitchen to the glistening heated pool and lanai enhanced with pavers including the serene entertainment/lounging area which all backs up to green grass and a berm in front of the Braden River HS which sits well below the backyard and is easily accessible offering lots of privacy without neighbors behind your home. This Vernon Hill Floor Plan has 3 bedrooms and a den with the master suite separate from the other bedrooms overlooking the pool. The kitchen is a chef's delight with granite countertops and the island has a custom brick wall. There are several recessed lights enhancing the ambiance along with Tommy Bahama feel plantation shutters and wooden blinds, upgraded electrical package for wall TV's in the great room and lanai. A few years are left on the builder's warranty giving you peace of mind. The size and layout just makes sense for any family desiring a luxury home in a prideful community with NO CDD taxes and low HOA Fees at a ready to go price! Additional Lease Restrictions 10% Of The Total Homeowners Can Be Rented.